WordPress is a great website to use, for whatever kind of content you want to host on the internet. And one kind of website that you can create and host using WordPress is an e-commerce website. With WordPress, you will be able to open and run an online shop. Security on WordPress is very important. And this is because there are a lot of reasons why you would need to store private data on your WordPress website. 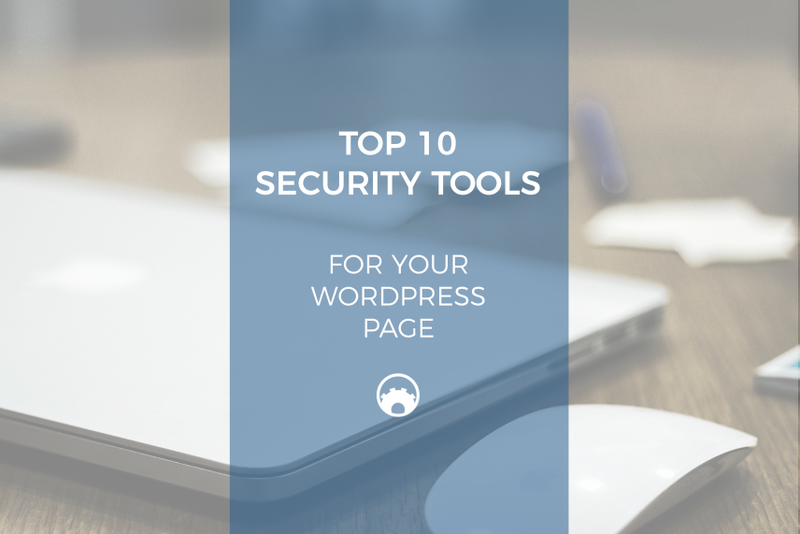 To avoid simple hacks or people stealing sensitive data from your WordPress website, you will need to use security tools and plugins. 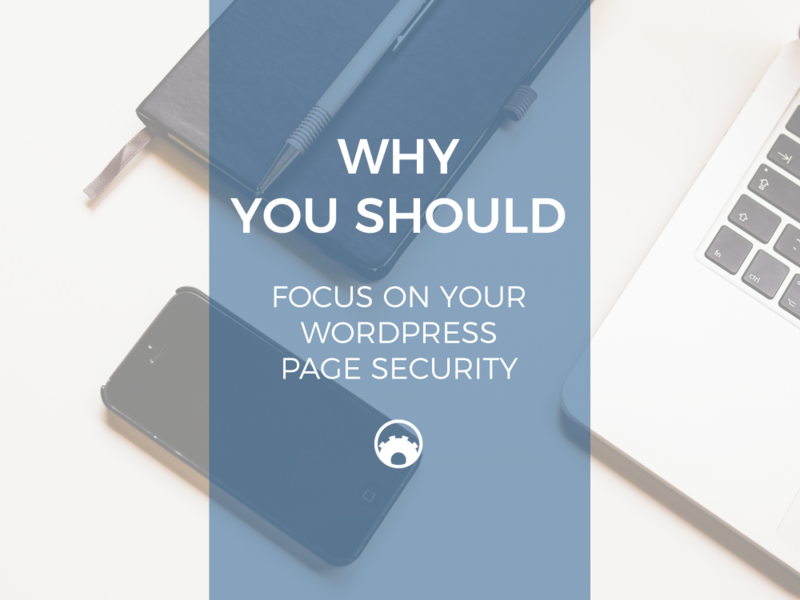 Even with all the latest updates with WordPress security, there is still a lot of room for improving it. Security has always been an issue with WordPress users, even though some users are less tech savvy. A lot of websites these days are powered by WordPress. Many of them are owned by businesses, groups, organizations or by individuals that want to share a part of their life. But it is difficult to discern which of the websites are running on the WordPress platform. 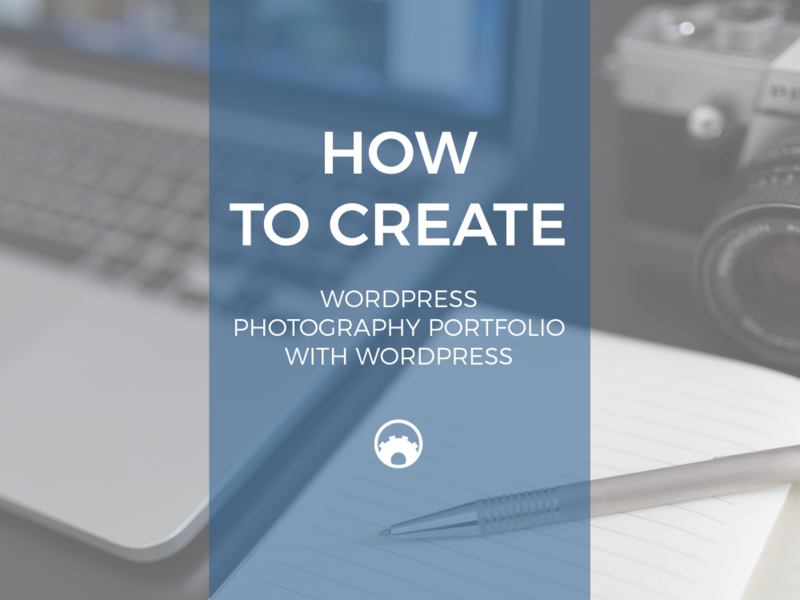 WordPress has made it easy for aspiring photographers to put up their portfolio online. 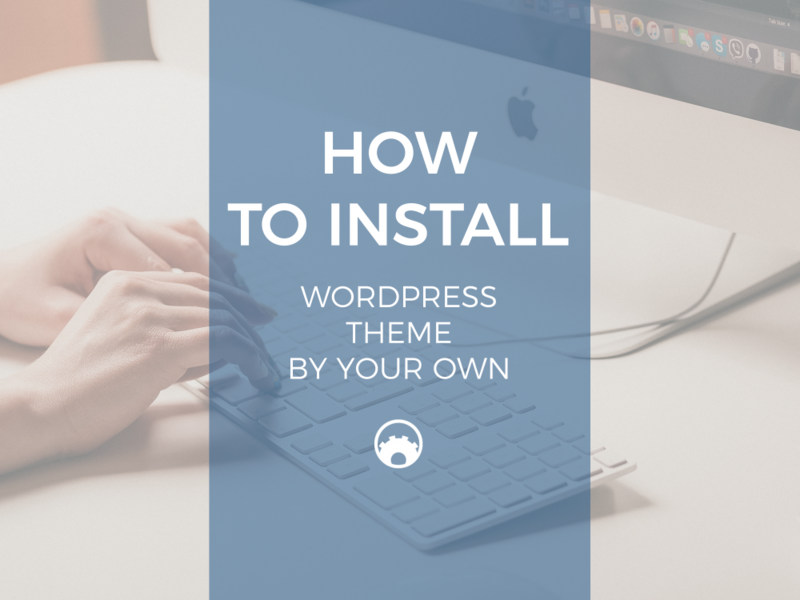 In fact, WordPress almost has everything that anyone wants to create a website whether it is for personal, business or portfolio. If you have been trying to create a website for your business, you may have heard that you should use a single page view for your website. And that is partly true; you should use a single view page for your WordPress website. If you are going to create a blog, one of the best tools that you can use to create one is to use WordPress. WordPress is an incredibly powerful blog creation tool, with which you can use a large number of features. 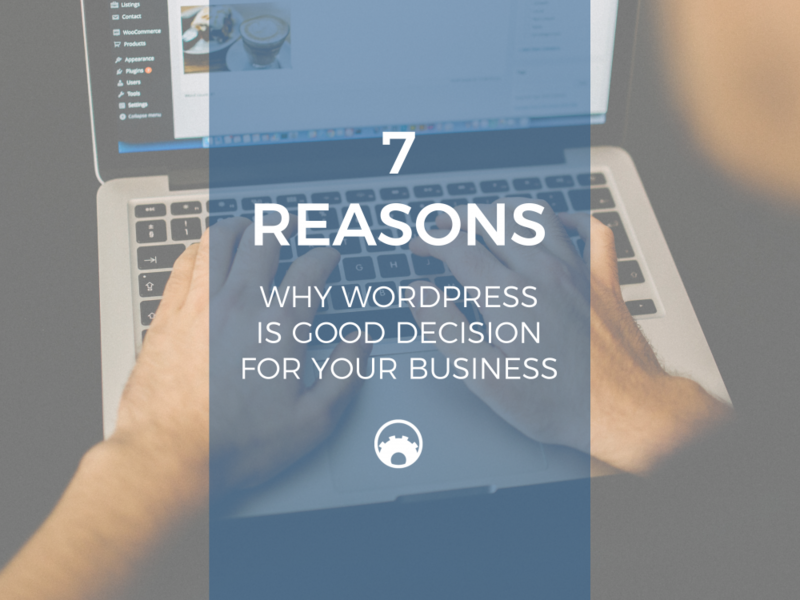 When it comes to creating a website for your business, you should look into using WordPress. Using WordPress, you can easily create a website that can fit all of your professional needs. WordPress is an extremely useful tool, with which you can use it to create many different kinds of websites. One of our goals this year was to build very creative and awesome HTML template for those who work on creative industries: creative agencies, fashion, entertainment, textile, photography businesses and so on. So finally here came up the attractive solution of design that connects your profile content to the one thematic line that enforce others to be inspired by the spirit of your slashing enterprise. We were built this template while were off from the standard view for websites. If you are selling visual things your website should look as a fancy gallery to show up everything in the best way. Suits will help you to share your business process insights and useful articles, and truly engaging with the community. 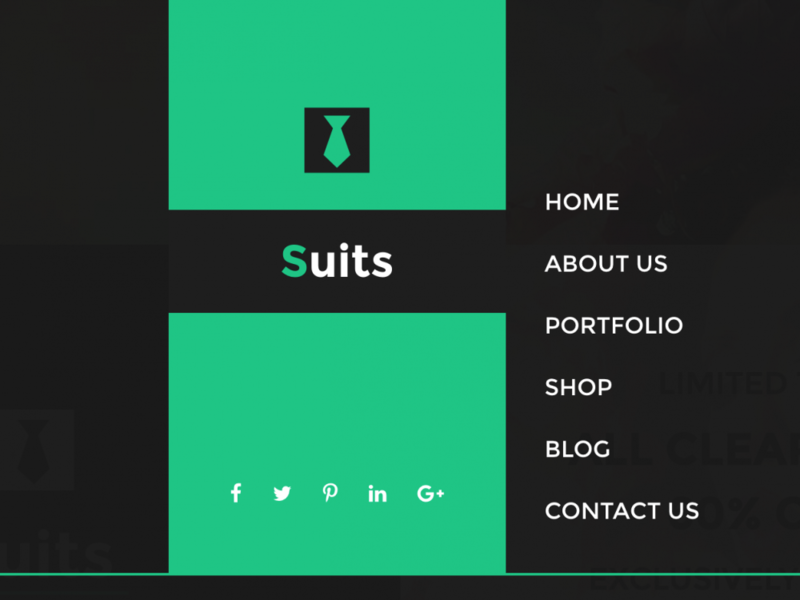 We plan to release Suits WordPress theme which will have support for WooCommerce, have Page Builder and much more. Stay tunned! How to Get more Clients using your Portfolio Website? What is one thing in common among many lucrative freelancers? 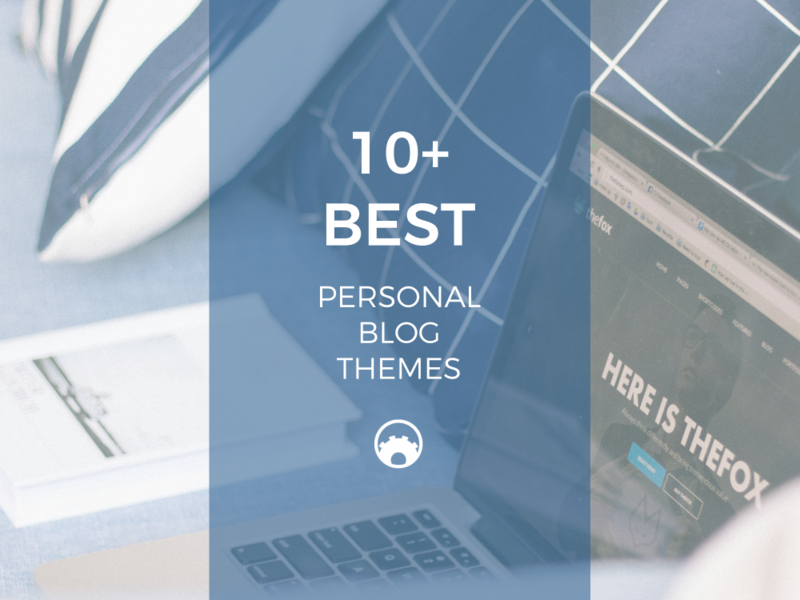 Well, a personal brand and a powerful portfolio website! Being in the business of web development, design and content writing can prove to be highly profitable provided you know how to grab new clients or jobs. With the ever-growing competition in the market, you need to stand out from the rest to get the attention of clients around the world. Setting up a professional LinkedIn profile is a good way to get started, but if you are actually planning to get more attention, you have to establish a portfolio website to market yourself. A portfolio website is more like a LinkedIn page but with a lot more room to boast of your skills and expertise. 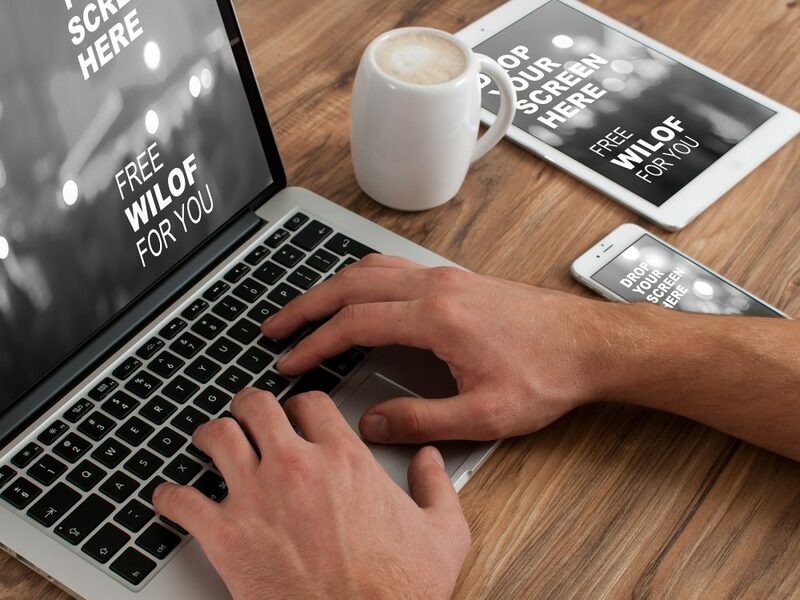 Every freelance career may have different expertise and skills to display but all have one thing in common – to market themselves to their prospects and a portfolio website is a great way to do exactly that. When you know you are best at what you do and have something to back it up, you are in a much better position to set your own rates, work schedule and work load. So if you have decided to build a portfolio website that will help you get more jobs or clients, we are here to help. In today’s post, we are going to discuss how can you get more clients using your portfolio website. The portfolio website is about you and your work and thus it’s imperative to tailor it as per your personality. Your portfolio website should be your equivalent, add character to it while keeping a professional tone. For example, if you are hesitant in using your own photo, you can introduce yourself using a cartoon character. Also, make your website fun-loving or simple or hyperactive or sporty or anything else, if that’s what describes you best. A portfolio site gives your clients to know you better and if it’s nothing like you, you are basically cheating on your prospects. Well, this is kind of obvious. It’s your portfolio so you are supposed to add what you do and what’s your specialty. However, these are not the things you are most experienced with. A portfolio website gives you the freedom to shape your profile or what you would want people to recognize you for – even if you are recognized with it yet. Be it logo designer, content marketer, or social media expert, be specific about your specialty. This also saves you from getting involved with irrelevant propositions for work you may not be interested in or unable to perform. The main motive of establishing a portfolio website is to enable prospects to contact you for their projects. Thus it’s extremely important to add easy to find contact information including email address, phone number, Twitter URL, and LinkedIn profile URL. Apart from your contact information, make sure other details are also easily accessible including Portfolio, About, Services and more. The main goal of your portfolio website is to get a client to hire you. So of course, you have to make it easy for them. Aside from your ‘contact me’ page, you should have at least one or two calls to action on your homepage or skills or expertise page such as fill out a form, hire me, click for contact info, request a free quote etc. As a matter of fact, if you are not using a call to action on your website, you are certainly missing out a significant opportunity to gather leads and convert your casual visitors to loyal customers. A well-planned CTA button can help you direct clients and get them to perform a particular action (which in your case is to hire you). Text: Is your CTA clear and concise? Does it show a sense of exigency? Does it communicate value? Size: Is your CTA easily accessible? Is it too small that it is difficult to notice? Is it mobile-friendly? Is it easily recognizable as a CTA button? Color: Does your CTA aesthetically stand out from the rest of the page? Is it surrounded by enough white space? Have you considered the psychology of colors for your call-to-action? Placement: Is your CTA above the fold? Is it able to grab the attention of your visitors? Is it placed in a such a way that it persuades users to take action? Keeping all the above considerations in mind, you will definitely come up with a great CTA for your website that would generate tons of leads for you. Design and content go hand-in-hand when it comes to setting up a website. So come up with thought-out descriptions of your personality, work, skills and expertise. In addition, make sure you use simple and clear language to describe everything. What projects I have worked on? What type of clients I’ve worked with? This is now easily readable and enables a prospect to better skim and keep a note of the information they are more interested in. If you have a huge database of satisfied clients, you can leverage this opportunity and ask them to leave a testimonial on your website. Testimonials improve your website’s credibility and legitimacy. They don’t have to be lengthy, just 2-3 lines would be enough. However, make sure you have placed your testimonials in the best place possible such as footer, sidebar or below your services. And you do not necessarily need your previous clients to leave testimonials for you. You can get in touch with your co-workers, friends or anyone who has something nice to say about you and your work. The usage of smartphones has only increased over the time and a majority of your prospects or potential clients access the internet using their mobile phones. Not having a mobile-friendly portfolio website will hinder you from grabbing some of the most valuable clients. Instead of just setting up a desktop website, put extra efforts to build a website that fits every screen size and device available out there to ensure you don’t miss out on an opportunity to find the best possible clients that value your work and skills. Keith Clark is a front-end developer who is really good with CSS3 and HTML. The homepage showcases his best HTML and CSS3 work along with the link to his latest articles, contact information and Twitter profile URL. Tamerlan Soziev is not as fancy as the above one, but still a worth checking portfolio site. Robby Leonardi’s portfolio website is one great example of designing portfolio that features two different options for you to choose. Upon choosing an interactive resume, you are presented with a video game resume where he has used parallax scrolling in the most interactive way possible. Heraldur Thorliefsson is a single page portfolio website that uses parallax scrolling effect. The designer takes the opportunity to introduce himself along with the companies he has worked with. Being a freelancer, a portfolio website is an asset. And you’ll get what you put into it. So, invest your time and effort to build a well-planned, and aesthetically appealing website that should leave your visitors awestruck. 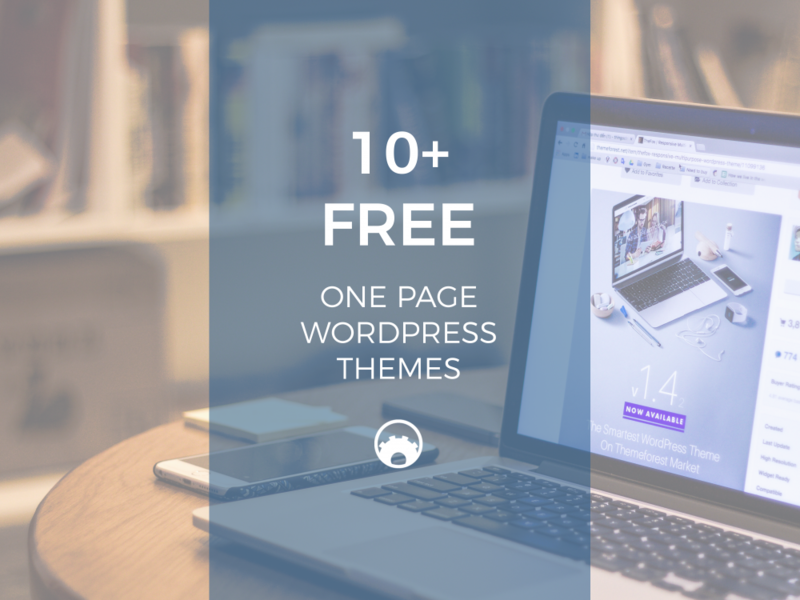 Subscribe to get early access to new themes, discounts and brief updates about our WordPress themes.